TREA has organized this survey to gain perspectives for future programming. 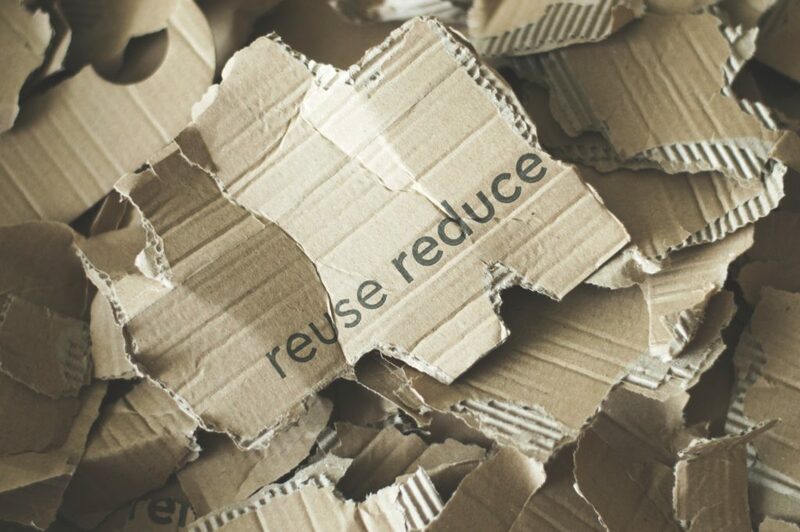 Please visit https://www.trea.ca/waste-free/ after you finish the survey to visit our waste reduction guide and our waste free challenge for you to work through! 1. Have you heard the expression ‘waste-free lifestyle’? Do you think waste-free is at all possible in your home. Please rate between 0 and 5. Zero being easy. 2. How many people live in your home that contribute to creating waste? Is this year round? 3. Are you aware London currently diverts 45% of its waste and is working in 2018 to establish a long-term 60% waste diversion strategy? Do you think Green Bin is the best option to get us to 60%? I am aware. Yes, the Green Bin is a good option. I was not aware of this, however I do not think the Green Bin is the best option. 4. London’s landfill is expected to reach capacity in 2025. Do you think a clear bag program could eliminate food waste being put into the garbage? 5. What are key barriers that would prevent your home from being waste free? Other…please note in the comments. 6. Do you have options to recycle textiles from your home such as clothing, rags, towels, sheets, used shoes? What is your approach? List a couple of agencies used. 7. If someone on your block offered to take food matter to set up a block composting project would you be interested to drop composting materials off to them such as leaves and food scraps? Do you compost now? 8. How difficult is it for you to avoid purchasing food that is wrapped in plastic or comes in a plastic container or Styrofoam tray ie grocery store, market, corner store? Please rate between 0 – 5. Zero being easy. 9. Do you see the above packaging as a major source of waste? 10. Growing some of your own food can reduce the need for packaging. Have you ever considered starting a garden? Do you already have a backyard garden, or a community garden? Is it at Carling Heights Community Centre? Elsewhere? 11. Would you be interested to share information or attend any of TREA’s proposed workshops this fall – zero waste kitchens, zero waste free shopping and zero waste free cleaning. Next spring 2019, we will offer workshops on food composting, growing a garden and building a greenhouse. Do any of these topics interest you? Other ideas? We are also looking at a tool lending library – would you attend a food canning workshop? 12. Would you want the workshops to be nearby – library, place of worship, a school? 13. Do you utilize 1) Western Fair Market 2) Covent Garden Market or another fresh fruit/vegetables local farmer’s market. If so please name in the space provided. 14. TREA and Home County Folk Festival initiated the Greening of the Festivals at Victoria Park in 2007. This included composting, recycling and a ban on Styrofoam. In 2013, the City made the composting voluntary. Would you like to see it back in place for all the events held there? Should the above also apply to smaller events in smaller parks? 15. Would you be interested in participating with our online 30 day waste challenge? We also have an online waste reduction guide to help you find ways to cut back on waste. 16. TREA has its monthly newsletter, a composting demonstration site, a pollinator garden, ongoing workshops and/or events. We are always interested to have new volunteers to help us with outreach, marketing, special projects and event planning; let us know if you’d like to become more involved. Do you have any other comments, concerns, questions, opinions or ideas for us on waste free whether it be at home, in the neighbourhood, or in London as a whole? Please share! Thank you! Every little bit helps to becoming waste-free. Please enter your name and contact information below. Follow TREA to learn more about the organization and our upcoming events. To join us please send in the attached Membership form. Thames Regional Ecological Association is a key environmental organization in London. They are advocates for tangible change in public behaviour and are a wonderfully open, inclusive and collaborative group, and they work hard to support a wide variety of community groups, such as summer festivals. All rights reserved. Website Developed by Inspiratica.